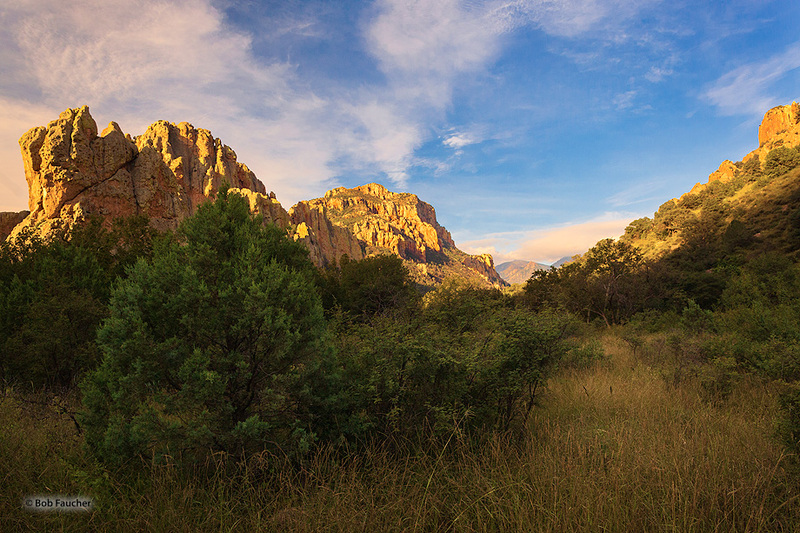 Nestled in the Chiricahua Mountains of Southeastern Arizona is Cave Creek Canyon, a hidden gem with spectacular cliffs, flowing streams and an abundance of wildlife. I camped in this site under torrential rains to awaken to this view, and washed out roads. Photo © copyright by Robert Faucher.